The thirteenth – and final – crazy adventure in this hugely popular comedy horror series for ghouls and girls! Having been banished to the Underlands by Acrid Belcher, the evil head of G.H.O.U.L., Luke, Resus and Cleo begin their thirteenth adventure fighting for their very existence. And life doesn't get much easier from there – the quest to return the sixth and final relic will take them to a dragon's lair in China, after which they must overcome the not-so-small problem of a deluded slime beast hell bent on creating an evil new world order. 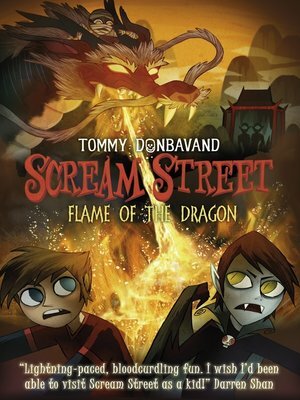 Once again it's up to the trio to save Scream Street – but will they fall at the final hurdle?